Patricia Cain is a Professor of Law at Santa Clara University. Before joining the SCU faculty in 2007, she served as Vice Provost and Aliber Family Chair in Law at the University of Iowa. She was a member of the faculty at the University of Texas for 17 years before moving to the University of Iowa College of Law in 1991. She also held the H.O. Head Centennial Professor in Real Property Law at the University of Texas (1990-91). A member of the American Law Institute, and a fellow of the American College of Trusts and Estates Counsel, she has also served on the board of Lambda Legal Defense and Education Fund and is a past president of the Society of American Law Teachers (SALT). She is currently serving as Treasurer of SALT. She is a frequent lecturer for Continuing Legal Education on topics ranging from taxation to torts. 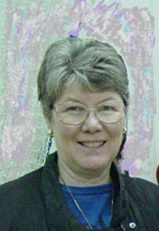 She has published more than 50 law review articles as well as several book chapters, treatises, and books including Rainbow Rights: The Role of Lawyers and Courts In the Lesbian and Gay Civil Rights Movement (Westview Press 2000); and Sexuality Law, 2nd Edition (with Arthur S. Leonard) (Carolina Academic Press 2009). She is currently working on a torts casebook with co-author, Jean C. Love, Professor of Law, Santa Clara University. Professor Cain received her A.B. degree from Vassar College and her J.D. degree from the University of Georgia. Mark Goldowitz is the Founder and Director of the California Anti-SLAPP Project (CASP), a law firm that has specialized in defending against SLAPPs in California since the anti-SLAPP law took effect in 1993. CASP led the coalition that won enactment of the California anti-SLAPP law in 1992 and subsequent amendments that strengthened anti-SLAPP protections in 1997, 1999, 2003, 2005, and 2008. He and his clients have prevailed in special motions to strike under the anti-SLAPP law in 23 counties throughout California and in decisions by four of the six district courts of appeal. He and his clients have prevailed in nine published opinions under the anti-SLAPP statute, including two important decisions by the California Supreme Court: Briggs v. Eden Counsel for Hope & Opportunity (1999) 19 Cal.4th 1106, and Barrett v. Rosenthal (2006) 40 Cal.4th 33. His anti-SLAPP expertise has been recognized in four appellate opinions. He has published numerous articles on the anti-SLAPP law, and frequently lectures and consults on the subject. He graduated from Harvard Law School in 1972. Mr. Goldowitz is also founder and President of the Board of Directors of the Public Participation Project (PPP), which is leading the campaign for enactment of federal anti-SLAPP legislation. Visit CASP’s website at www.casp.net.